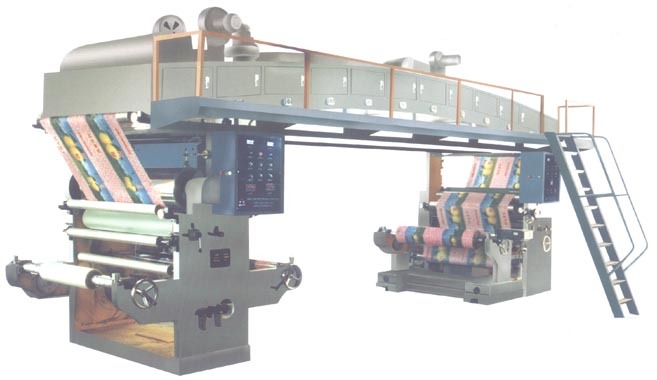 Tinyard Enterprise Co.,Limited is one of the top level China plastic film laminating machine manufacturers and suppliers, welcome to wholesale plastic film laminating machine from our factory. This machine adopts the machine base with casting structure and has such merits as high precision, good stability, long usage life, smooth running of whole machine, reliable control of tension and uniform gluing etc. The machine is suitable for laminating reel plastic film and other base material into composite material with comprehensive performance and different requirement. 1) Fit for laminating of plastic/plastic, alu.foil/plastic, paper/plastic. 2) Drying tunnel adopts hot wind drying, segment control, tunnel roller is linkage driving. 3) First and last press roller adopts pneumatic driving. 4) Hot drum used hot-conduction oil to heat. 5) Reel releasing adopts photoelectric control, tension adopts magnetic powder control. 6) Air enlarging shaft to wind and rewind film. 7) Double motor,frequency inverter to control speed.